Each day over the next week we will discuss the albums that have been on repeat on our stereo for the past 12 months (in no particular order). 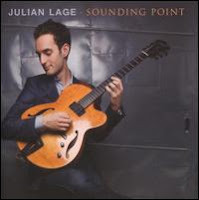 Julian Lage's Sounding Point is an album that has stuck with me since I first put it on late in the spring. Lage has been the main guitarist in the group Generations, led by the legendary vibraphonist Gary Burton. This is Julian Lage's debut album after a strong series of duo and session work aside from Burton's group and it doesn't disappoint. 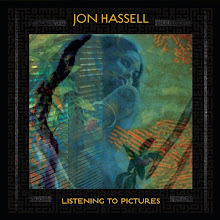 His style is very reminiscent of Jim Hall, Ralph Towner and a younger Pat Metheny. Sounding Point is a wonderful collection of vivid and imaginative originals and a very small selections of standards including a great version of Miles Davis' "All Blues". This is an album that most young musicians would take at least 4 albums to produce. Julian Lage combines a delightful blend of classical and jazz themes to this session that is far beyond his years. He has surrounded himself with a band that is also up to the challenge of following this young and wildly talented guitarist through a journey that is quiet yet evocative. At a time when everyone is looking for next generation of leaders, Julian Lage has stepped into the spotlight with a degree of maturity that others might have a very hard time catching up to. Sounding Point is an album that matters right here, right now.